CreditDonkey is a review and comparison website. CreditDonkey is not a credit card issuer, bank or lender. If you have any card account questions, please contact your card issuer directly. To contact writers directly about the content of an article, please visit our editorial team and contributors page. Feel overwhelmed? 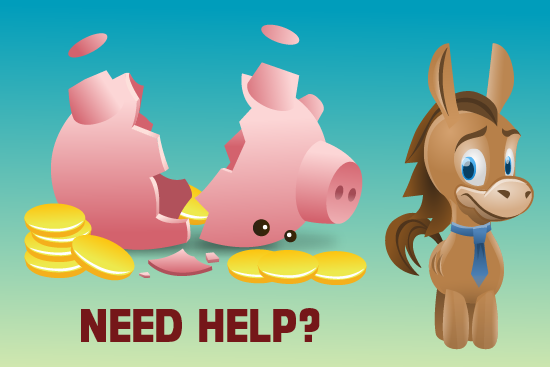 CreditDonkey does not know your individual circumstances and is not a substitute for professional credit counseling. Consider finding a reputable non-profit credit counseling organization that offers in-person counseling. Simply fill out the form below with your thoughts, suggestions or questions. We look forward to hearing from you. Your message sent to and from this site is unencrypted and not secured. Please take special care in deciding what information you send to us. Please DO NOT include any sensitive information such as your Social Security Number, Birthdate, Account Number, Password, Mother's Maiden Name, Driver's License, or Bank Account Number in your message. We do not response to inquires about or including sensitive personal information. While we would like to speak with everybody personally, due to the volume of emails/mail we receive, we may not be able to respond to every one. In order to avoid any possible misunderstanding, we must advise you that any comments or materials you have submitted or may submit to us, including questions, technical or creative suggestions or ideas, are considered to be non-confidential and non-proprietary.